We are helpless in this world. Like a swift stream, which grasps and drags us down. A hundred pains pursue us, one by one. And play their youth away. Turns white, like a hard frost. Wrinkles are etched – by whom? And ride on in their pride. But is their world eternal? Arm on her jewel arm. The old are always so. But we have no redress. Firm rocks that see no change. And time must have no stop. This Veteran’s Day I am thinking about the legacy of veterans that goes beyond wars and weapons, to the ideas that compel people to take up arms, and to the wisdom that is gained through experience, especially such transforming experience as war. Germany, in the early 1930s, was a shithole country. Not that our current president would categorize it that way – most of its residents being white – but it had debts that it could not pay. It rang up those debts in the first World War and thought it might be better to commit further atrocities than to pay off those debts. It was correct. Germany was allowed to prosper after the second World War, regardless of its offenses against the human race, in part because of the Marshall Plan. Unlike the behavior after previous wars, the Allies did not confiscate the land and property of the Axis powers, or subjugate their people. Instead, the United States government from 1948-1952 gave roughly $100 billion in today’s dollars to rebuild their economies. The modern system of the division of labor upon which the exchange of products is based is in danger of breaking down. … Aside from the demoralizing effect on the world at large and the possibilities of disturbances arising as a result of the desperation of the people concerned, the consequences to the economy of the United States should be apparent to all. It is logical that the United States should do whatever it is able to do to assist in the return of normal economic health to the world, without which there can be no political stability and no assured peace. Our policy is not directed against any country, but against hunger, poverty, desperation and chaos. Any government that is willing to assist in recovery will find full co-operation on the part of the United States. Its purpose should be the revival of a working economy in the world so as to permit the emergence of political and social conditions in which free institutions can exist. The plan had bipartisan support from the Republican Congress and Democratic White House. From the early 16th Century until the end of World War II, Europe’s militaries conquered or subjugated almost every other country on Earth and fought continuously against each other. Other than the warfare that accompanied the collapse of Yugoslavia, and Russian invasions of Crimea and Ukraine, Europe has known peace for seven decades. The changes in America were profound as well. Before the second World War most Americans were isolationist but as we learned the interconnected nature of human society in the 20th Century, we developed more globalist views. The realization that all the people of the world have more in common that opposition has brought peace and prosperity that the world never knew during millennia of nationalism. The wave of nationalist movements in the US and across the globe today pose a threat to the internationalist policies that we pioneered and whose value have been proven by experience. 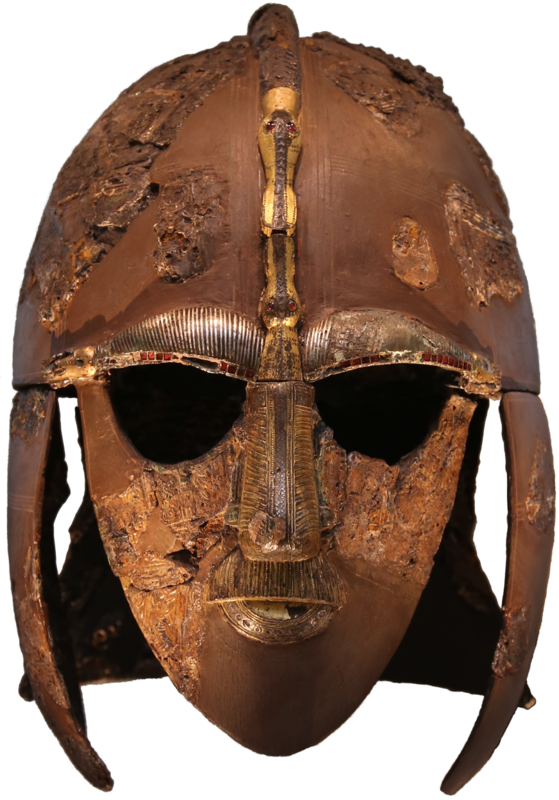 On this day in 1939, over 500 fragments of a helmet were discovered on the property of an English woman named Edith Pretty who had hired archeologists to excavate 18 burial mounds located on her property. 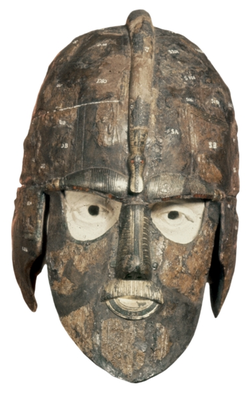 The pieces were originally reconstructed in 1946 and put on display in the British Museum. In recognition of this find, Winston Churchill offered Ms. Pretty the “Commander of the Most Excellent Order of the British Empire.” She declined. 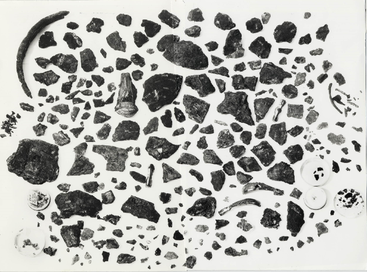 A further excavation in 1967 unearthed more pieces and in 1971 the current reconstruction was put on display. as to them shall seem most likely to effect their Safety and Happiness. than to right themselves by abolishing the forms to which they are accustomed. and to provide new Guards for their future security. At a 90th Birthday Party for my Aunt Lorraine last weekend, my cousin Bob loaned me a book that looks like something out of an old movie. 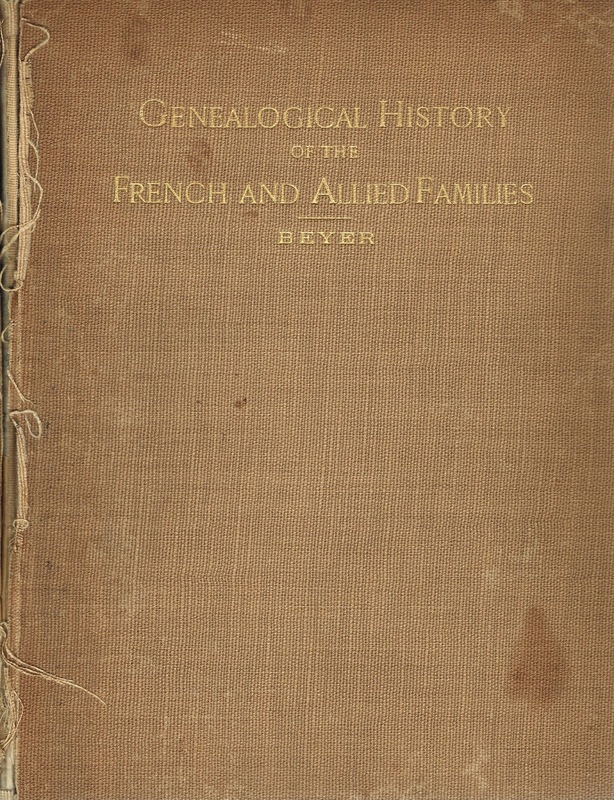 Genealogical History of the French and Allied Families, written by Mary Queal Beyer in 1912, is the kind of book they just don’t make anymore. 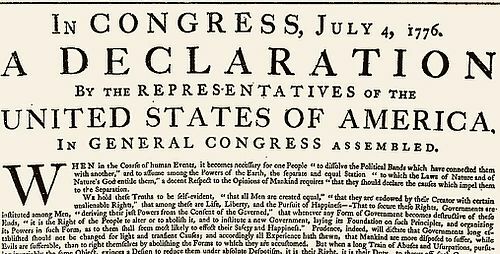 Even then, there were only 200 copies printed. It’s been read around the family fire for so long that it smells like smoke. It is a treasure trove for us French family descendants, going back to the Frenches who fought at the battle of Hastings in 1066. Shall we not tell the story of young Eleazer French? To battle for the right. They owed to Howe’s great guns. Muskets of old-time minute men! Upon its path of harm. Fail not to tell the story of brave Eleazer French!